Hi! My name is Michal Edelman. Allow me to begin with an obligatory fun fact: I hail from a remote, foreign region of the United States called the West Coast. More specifically Oakland, California, otherwise known as the Bay Area (or just the “Bay” if you’re a native.) A lot of you might be wondering why we haven’t had a female Yavneh president in a while—a wise question indeed. To me however the answer is simple: no girl has been brave enough to make the trek to the front of Rennert on Friday night with her heels clacking every step of the way. Rest assured people, this is a job I am ready to tackle, even if I must handle some heckling along the way! Last year, after surviving the first semester of freshman year and successfully conquering the menu at Café Nana, I decided that I wanted to become more involved as a student leader on campus. I thought about the different paths I could take, the different choices I could make, and the different organizations in which I wanted to play an active role. I thought it would be a good experience to get involved in SGA, Barnard’s student government association. I now serve as the Vice President of the sophomore class and am member of both SGA rep council and Barnard’s Financial Advisory Committee. Being a part of SGA has been a fantastic opportunity to meet new people and be a part of the decision-making and leadership of the Barnard community. Being a part of SGA has also helped me learn about myself as a leader. The experience has been an eye-opening one for me as I reflect upon what I have gained thus far. Yes, I have made a new and diverse group of friends; yes I have achieved my goal to become a leader on campus. But most importantly, I realized that while I enjoy SGA, my true passion is for Yavneh. It is for Yavneh that I want to devote every minute of the day and every conversation I have whether it be with my parents, my friends, or random acquaintances I see on the street. It is the community I feel an intrinsic connection to and the organization that I cannot imagine my college experience without. I know that I am not unique in this community in my passion and love for Yavneh, but I do know that we as Yavneh are unique as an organization because of it. Allow me to explain: most organizations would give anything for the devotion and dedication that our community displays. It is through this that arises our incredible power and strength, and I believe that it is time that we harness this advantage through empowering the members of our community to become leaders. Over the past few months I have spoken with many different members of the community about their personal experiences in Yavneh. It has become clear that there are many people within the community who have great ideas and who are eager to be involved. However, there is a reason they have not succeeded in raising their voices and being heard. People simply do not know how to “navigate” Yavneh, and that is something I am determined to change. I believe it is the job of the Yavneh board, and specifically of the president, to provide the community with opportunities for leadership and involvement. Below, I have outlined a snapshot of my vision for making Yavneh a community with outstanding programming, stimulating educational activities, and exciting leadership development opportunities. Keep on dreaming Yavneh, because the possibilities are endless. Where do YOU see this community in a year from now? Lets work together to take this already incredible community and give it a vibrant, exciting, and fresh new start in 2013! I hope that everyone can make it to the forum on Monday to hear from all the candidates running for different positions on the new Yavneh board. If you have any further thoughts or questions, I ask you: please approach me. I am the girl with Starbucks in hand, whatever time of day. And on that note, I hereby promise that if I am elected, there will ALWAYS be Starbucks at Kiddush. Have a wonderful break! Happy Thanksgiving, Yavneh. 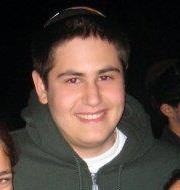 Hi, I am Aryeh Goldstein a Sophmore at Columbia and I am running for Yavneh President. One of the most iconic quotes in American history is when President John F. Kennedy said in his Inaugural speech in 1961, “My fellow Americans, ask not what your country can do for you -- ask what can you do for your country”. I think if JFK had been president of Yavneh he would only have been half right. While I think it is critical for Yavneh members to strengthen the community by getting involved, I think it is just as important that Yavneh board ask all Orthodox students ‘what can we do for you’. When I decided that I was going to run for President I spent some time going around the community asking, “what can Yavneh do for you” I received a multitude of answers ranging from the relatively simple – organizing biweekly trips to fairway for those who want to shop (fairway provides a free shuttle if 10 people get together and reserve it), or organizing different sports teams so that Yavneh can compete in intramurals – to the more complex – making sure people are not intimidated when they come into shul, making Yavneh feel more cohesive, and even just improving the options at Hewitt shabbat dinner. While I would attempt to specifically implement these ideas, I would also try work on the broader issues that these requests seemed to illuminate. These ideas boiled down the fact that Yavneh is good but people want more varied programs that appeal to their individual interests, more ways for individuals to impact Yavneh by having their voice heard, and more unity and warmth throughout the community. I think the first two will go a long way to creating the third. Yavneh must make sure that all the basic necessities of the orthodox student body are met, but it must do much more than that. It must cater to the wants not only needs of its members, by having many different types of events that appeal to the many different interests that exist in the Yavneh community. This would help build a stronger sense of community in Yavneh. Events, in their very nature, bring a community together, because they create a fun and easy way to interact with people you wouldn’t otherwise feel comfortable talking to. Whether it be your random opposing team in Assassins that you talk to after you kill, the person you strike up a conversation with after an engaging shiur by one of the great scholars Yavneh brings in, or even that person who likes the same toppings as you on a cupcake. In the past these events have introduced me to new people. More events would only increase the interaction, and therefore unity within our community. Especially if some of these events have a chessed aspect. I think that when people come together to do something for others, besides giving the participants a good feeling, it also binds everyone together because you feel as if you worked together to make a tangible difference. One other event that I would try to implement is a Yavneh trip. Whether a trip to six flags or a ski trip, any kind of trip off campus provides an opportunity to meet new people and I think these types of events would be heavily attended since they appeal to a broad cross section of Yavneh. The second major issue is giving everyone a voice. I always love having conversations so if you have ideas for Yavneh I would love for you to approach me. But, I know this is not always so easy because people are busy and I might even appear intimidating (I’m really not ask people who know me), so I would add a comments section to the Yavneh website where comments could be left, and if you give your email address and name we would respond to your emails. I also think the First year committee is critical, because even though we were all new at one point, every incoming class has there own issues and their own ideas. Besides for this committee I think there should also be a six-person committee with two Yavneh students from each of the other grades because seniority has not guaranteed that one’s opinion can impact Yavneh. This way the board could always know what each grade wants. By giving all the grades a voice we can hopefully make our community cohesive and warm. What I have noticed is that as students get older they become more specialized and only go to programs that serve their interests, and even stop being an integral part of Yavneh as a whole. Having a committee with students from every grade could tell us what each grade wants, thereby keeping upper-classmen involved in Yavneh. My last major idea to specifically increase unity is to try to have one Friday night dinner during each semester where we would encourage everyone to eat at Hewitt, and try to mix people up so they sit with new people, so they can make new friends. This would create a sense of community, because everyone is together in a room, and also helps create friendliness throughout all the grades. 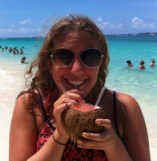 My experience and personality give me the tools and skills to successfully lead Yavneh. For the past year I have been a member of Hillel Community Task Force and have helped organize large dinners for the Jewish community at large, where everyone feels welcome. I have been a member of Hillel Social Cultural committee, which has planned great events like the carnival last spring and every Friday Night Hangout. I have also been a member of Maavak, which has brought in interesting and engaging speakers, so I know how to bring in speakers. For those of you who don’t know me (and those of you who do can vouch for this) I have a lot of energy and am always looking for things to do. When I care about something I get very invested in it and do everything in my power to make sure it succeeds. Let me put my intensity and energy to good use. Let me make Yavneh, which has done so much for me, the best community it can be so that it can do so much for you. It is an honor to be running to be your Yavneh President. During my three semesters here, I have been exposed to a diverse array of student groups on campus, but time and time again have come to the same conclusion: Yavneh is my home, and the group in which I would like to focus my energies. We are one of the largest Orthodox college groups across the nation. We boast this campus’ largest weekly gathering of students. Most importantly, we strive to warmly include everyone who wishes to be a part of our community. To me, we are a community of greatness. Although certainly content in my position as the Gabbait speech ghostwriter, I aspire to make an upward move within Yavneh in order to implement a vision that can allow our community to reach an even higher level of greatness. This vision was not formed solely from my own observations; but rather, it is a conglomerate vision formed by personal experiences, ideas expressed by community members and groundwork laid by previous Yavneh leaders. The (Yavneh) ShabShop: We all know how frustrating it is to be forced to buy overly-priced items for Shabbat, or to go ALL THE WAY to Seasons or Supersol to find normally priced items. I propose The ShabShop, where the Yavneh Board buys common Shabbat meal items in bulk (e.g. grape juice, challah), so students can get them conveniently and cheaply. The hope is that the Shabbat meal experience, a key venue for Yavneh relationship building, will be made easier. Additionally, this will help me achieve my personal goal of only being involved in initiatives that include the shorting and mixing of two words (i.e FreShabbat, ShaQuad, keep reading for more). A comprehensive Yavneh Directory: In my opinion, one of the greatest initiatives Yavneh has is the Peer Advising network. Unfortunately, I don’t think this is utilized enough nor is it expansive enough. I would like to create a directory where each member entry includes basic contact information, academic major, classes taken and membership in other campus groups. This will make contact within Yavneh a breeze, but also, will allow our community to know who to seek out when considering majors or when contemplating joining student groups. Freshmen Committee - The 2012 Yavneh board has proposed the creation of a Freshmen committee, an initiative to which I fully pledge my support. The Yavneh Board will work with the new Freshmen committee to continue programs like FreShabbat, and to create new programs like FreshQuestions, a ‘panel’ of upperclassmen to take place early in the Fall semester, where freshmen can submit any question they have, Yavneh related or not, to these Barnard/Columbia veterans. The Senior Series – This will be an effort to create senior-interest events. For example, every high-holiday season, our community experiences the difficulties of balancing observance and college. For Seniors, this is an issue that they will face in a new way as they leave college and enter the “real world.” We hope to bring in those who can speak to this issue, and other issues that Yavneh seniors will soon face. The Senior Series will not be limited to serious events, but social events that will allow seniors to maintain a strong connection with Yavneh life. While this is more of an external focus, it is often difficult for those involved in Yavneh to see the ‘intimidating’ image that Yavneh often has, when in actuality, it is a warm and welcoming community. I feel that this, too, stems from the reality of being a large community. I hope to work strongly with the future Hillel Religious Life Coordinator, along with the leaders of Koach and Kesher, to create programming that will build bridges between our three communities. I hope that by fostering these ties, the true nature of Yavneh can shine through. To all members of Yavneh, thank you for showing me what it means to be a community. My passion lies in serving Yavneh, and it would be a privilege to do so in the capacity of President. If you have any questions or suggestions about my vision for Yavneh, or complaints about the length of this platform, feel more than free to e-mail me at csharfman@gmail.com or you can always find me on the second floor of Diana! While feasting at an early thanksgiving dinner I was suddenly challenged to present something that I was thankful for. All the cliché things had already been taken: food, health, wealth, shelter, friends, family, and of course the classic response: turkey. But the answer was pretty simple, I’m thankful for having a group of friends, religious peers, intellectual scholar’s and all in all great people that animate everyday of my college experience, in short I was thankful for the Muppets; but mostly for the Yavneh Community. It goes without saying that our community is one of the most vibrant on any college campus. Where else would people be proud of the fact that they forced themselves to hide without eating real food, attending classes or sleeping in their own beds for an entire week? But as great as our community is, there is much work to be done. Over the past year many people have been convinced that Yavneh Board was the only group in our community creating events and actively shaping our community. It seemed as though the board would create an event and the rest of the community could choose whether or not they wanted to attend. But there was no active participation on behalf of those who were not on the board. Hence a group of us outside the board got together to create Freshabbat, where the first years were the ones to organize meals and events on Shabbat. We wanted to create participation from outside the board and show the community as a whole that this is what we should be doing. This recent success is only the beginning. My vision is to institute two major changes in our community structure. Recently the current Yavneh board has put together a committee of first years. This committee could be used to promote and design events that would increase unity within the community, attract those on the fringe and to act as an outreach committee. Their job would be to encourage and provide a method for community members to get involved in shaping our community. A second change would be to recreate official committees run by each vice president. The committees would include members of all grades. This would not only increase the number of people planning events, but would increase the number of participants in each event. Each committee member would encourage his or her friends to attend their events. The existence of these committees would allow more people to plan excellent events. Imagine events like live board games, community Shabbats where everyone eats together Friday night, or even community wide chesed and learning initiatives such as siyums and learn-a-thons for charity. Community Shabbats throughout the year where everyone will be “encouraged” to attend Friday night Dinner in addition to more Tisches and onegs. Well planned events and activities… family game night anyone? Collaboration with our friends from other nearby campuses such as NYU and Penn. My experience on campus as a JelLo team member has allowed me to see what it takes to create well-attended events that attract people of various interests. As much as I hate to admit it, the weeklong training session really improved my ability to understand others and to find common goals and interests. Additionally, the summer before I joined the Columbia community I was given the prestigious title of “Assistant Aquatics Director of Westchester Day Camp.” As ridiculous as that sounds I learned more in those two months than from any other experience. Not only was I given the task of managing 25 teenage lifeguards, but I was responsible for dealing with every child in camp and their parents (Honestly there is nothing scarier than a summer camp mom whose child didn’t pass the deep water test). This gave me the opportunity and experience of leading, planning and speaking to these 25 individuals in addition to the 400 campers and their infinite parents, grandparents and cleaning ladies who wanted to discuss their child’s progress. I am confident that everyone in our community has excellent ideas on how to guide our community. What I hope to accomplish as president is to implement as many of these ideas like Freshabat as possible. I hope to run programs and ideas of those inspired individuals regardless of whether they are given any official title. Looking at those who are running for the other positions on Yavneh board I can honestly say I look forward to working with each one of them in order to make their ideas and those of the rest of the community become a reality. I don’t have to ramble on about how amazing our community can be and I know I’m already at the end of the second page but please allow me to use a simile. Simply eating a turkey doesn’t make a thanksgiving feast; it’s the mashed potatoes, marshmallow squash thing and matza farfel that bring it all together. Similarly, Yavneh board, as amazing as turkey is, doesn’t complete our community; it is the participation of all the small potatoes, funky shaped squash and soggy farfel that make our community what it is and improving our community cannot be done without you. Here is where I humbly ask for your consideration. I hope to work with you in making Yavneh so great that when prompted for what you are grateful for at your thanksgiving meal you’ll respond without a doubt, My Yavneh Community. I’m a bit of a Batman fanatic--you’d be shocked how applicable it is to any and every writing assignment--so bear with me. In Batman Begins, when Bruce Wayne is developing the idea of Batman, he has the following epiphany: “People need dramatic examples to shake them out of apathy, and I can’t do that as Bruce Wayne. As a man, I’m flesh and blood. I can be ignored, I can be destroyed. But as a symbol… as a symbol, I can be incorruptible. I can be everlasting.” So now that you all have the chills and are wondering where the heck I’m going with this, sit back, relax, and enjoy the platform. Hello. My name is Leora Boussi. I’m a sophomore at Barnard and I’m running for VP Social of Yavneh Board. I’m doing this for several reasons. First of all, I feel that I’m really representative of this community. I’ve been very lucky to develop many close relationships with Yavneh members of all different ages, so I feel like I really understand the people in this community and I’m confident that anyone and everyone would feel comfortable approaching me with their honest opinions and thoughts. Second of all, I have some wonderful ideas about where we can take this community socially. Let us pause for a moment and think about the social events we look forward to most throughout the year: Assassins. Panopoly. Yavneh Dinner. Oktoberfest. Bassarfest. SALADFEST. What do all of these events have in common? Answer: They are traditions. And traditions my friends are what can make Yavneh an “incorruptible” symbol. Traditions are so significant because their meaning is compounded over time. Traditions give two unlikely pals some common ground, something to talk about, something to look forward to together year after year. As VP Social of Yavneh Board, my goal would be to establish as many more fun traditions as possible to unite the community. The annual cholent cook-off would allow members of the community to team up and concoct the most delicious cholent anyone in our community has ever tasted. The Purim Chinese auction would be an opportunity for members of our community to offer their skills such as math tutoring, Shabbat meal cooking, and shteiging to the community in the form of a raffle. This sort of raffle also includes other prizes such as electronics and gift cards and involves a public drawing of winners. Everyone would get a chance to offer their skills and get involved, and we can all get to know each other that much better. The Spring baseball (we can switch it to squash if you guys all insist) tournament would allow boys in our community to get to know each other better and experience some “friendly” competition, as would the girls Winter basketball tournament. Finally, the monthly Friday night dinner in Hewitt. People really tend to underrate how important this is. Sure, the food is generally not spectacular, but the people are!!! And if we all gathered just one night a month to have dinner together as a community, people would have more of a chance to see that. I’m not saying that individual events aren’t great, because they are. I’d love to organize the start of the semester Yavneh events where we all catch up and eat food and have a good time. What I am saying is that if the only events established are individual events, Yavneh will be “flesh and blood” that can “be ignored” and “destroyed” (extraordinarily dramatic, but you get the point). If someone decides to skip the individual events because they have too much work that week, we lose the passion for being together that makes this community so great. But who in their right mind would worry about the homework they have during assassins or the midterm they have right after Saladfest? Nobody! We need to integrate ourselves better, and traditions are the most effective way to synthesize our experiences and unite as a community. They are “symbolic” of how much we enjoy being part of Yavneh. They make our community “incorruptible” because no one will ever get lost in the shuffle. Every face will be seen at the new traditional events I’d like to establish the same way every face is seen at Yavneh Dinner. Finally, traditions make our experiences “everlasting” because their significance and meaning accumulate over time, making us more excited to carry them out and bond again every year in the future. I feel like I have a really clear understanding of the social fabric of this community, and I have a lot of really great ideas that I think would appeal to everybody. I’m always open to suggestions, and everybody knows how much I like talking to people and hearing what they have to say. So you should vote for me!!!! Its a good idea. Batman saves the day once again. Hi! My name is Shira Lerner. I was born and raised in Riverdale, NY. I went to SAR for 16 years where I beat Atara Charnoff and Kayla Levenson in the Yeshiva League Championship to take home the title with a 25-0 season. Following this glory I went on to Brovenders, where I fell in love with sushi and colored pens. Then I ended up at the greatest place on earth: Barnard. I’m studying Political Science, with zero intention of becoming a lawyer. I write for the Barnard Bulletin and am Sophomore Class Representative on SGA Sophomore Class Council. You may know me from a few things: the girl who is the closest in height to Chaya Himmelman, that girl who is flooding your newsfeed and inbox with events, you may have heard of my killer del roll, or you may not know me at all. I hope it is not the latter, but if it is PLEASE COME SAY HI. So why do I want to be your VP Social? First off, I love you Yavneh. I really really do. Never in my life have I felt such a connection to a community the way I do with Yavneh and the entire Hillel community. I look forward to Friday night davening every week and claw my way to the front of the table for cookie dough on Shabbos morning. Yavneh board is something that I should be doing to give back to the community that has shaped my college life in many ways. As I mentioned earlier, I am a Facebook invite fiend. Over the last year, I have spent a significant amount of my time inviting you to events by McAC, Hillel’s Social Cultural Committee, JelLO, and Sophomore Class Council. Events have become my thing. Though the role of a committee member is important and time consuming, I am ready to take on the task of running the show. For a community like ours, events are critical. When Yavneh or Hillel puts on an event it is my time to see close friends that I have not had time to see otherwise. With a course load and schedule are rigorous as ours, we find ourselves only interacting with those cooped up in Butler/Diana 2/Diana 3/ NoCo, but not Lehman because no one goes there alone. These events bring our community back together and give us time to kick back and spend time with our friends. It sounds a little lame, but it’s the piece of mind we all need. If Yavenh or Hillel never had an event, I would have no friends. Simple as that. As your VP Social I want to make events that will cater to a large audience. We will bring the community together in fun new ways that will allow us to grow as a group. Now, events are fine and good for those of us well integrated into Yavneh. But what about those who are intimidated by us? Those who find us unfriendly? Though it hurts to hear these claims, they must be addressed. Yavneh too intimidated me. During my first semester, I did not get involved with any committee or club. I found the first semester hard because I never interacted with upper classmen. Through Yavneh’s events such as Yavneh Dinner, Panoply, and various food things I finally started a build a friend group. I hope as you VP Social to bring in those on the outskirts of the community. While on Yavneh Board I hope to implement a culture where we all walk over to the kid in the corner and introduce ourselves. These are just a few ideas that I came up with on my own. Luckily for me, Yavneh Board will be implementing committees. I hope to have a committee of dedicated and diverse students to help me put together events that the community will enjoy. With a group we will be able to put our heads together and really implement great events. Of course I will continue perfecting Yavneh’s greatest hits such as Assassins, Panoply, Yavneh Dinner, and Yavneh Skit. Lastly, as VP Social it is my duty to send out weekly emails. No worries guys, I’ll get the engagement announcements out the minute I get them. I hope to see you all at the candidate’s forum! Hey guys! 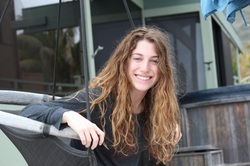 My name is Hannah Rosenwein and I am a sophomore at Barnard College. Why am I running for VP Social of Yavneh? Well, for those of you who know me, that’s easy: I love organized activities! Also, I feel lucky to have yavneh to call my community and I want Yavneh to be more than just a place where you come to practice your Judaism. I want it to be a place where you get excited to spend your time, see your friends and form memories that will shape your college experience; I want it to be your home away from home. In addition to hearing and implementing your suggestions, I have many new, innovative ideas for this upcoming calendar year. Some of which include laser tag, roller-skating, indoor capture the flag, and a Chinese auction. Moreover, I want to maintain traditional Yavneh events, such as panoply and assassins. Sporting events range from moon bounces to dodge ball tournaments. Food events, probably a crowd favorite, would be events like make your own pizza, sumo sushi and Iron chef competitions. Additionally, I hope to help implement some recurring events such as Sunday night football screened in Hillel each week to share in the Carman second floor love, Shabbat entertainment for those who want some post-prayer-play and monthly malava malkas to celebrate the beginning of the new week. Multiple day events include communal-wide color war and, of course, the annual game of assassins! The collaborative aspect of the committee works collaboratively with other parts of the Yavneh and Hillel boards. Now, you must be wondering: “This all sounds great, but how can someone ever pull this off!?! ?” Well, you are right. It is a lot of work. But, I am known to get things done. From my experience with SGA, I know first hand how much time, patience, and details go into planning events. I understand how to manage a team and work collaboratively. Moreover, this semester in Yavneh, I worked with the board to provide Shabbat entertainment; I helped implement the first annual FreShabbat and organized a first time ever walk to Columbia Homecoming! I am eager to help make Yavneh a more incredible place than it is already. I want to hear your opinions, ideas and concerns regarding social events in our Yavneh community as well as the broader Hillel community. I have the passion, dedication, and excitement necessary for this role, and I would love to hear your feedback! Please let me know if you have any questions regarding my platform! Thank you for your commitment to this community and taking the time to vote! I hope you have a great day and a Happy Thanksgiving! 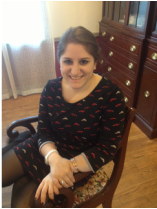 My Name is Jackie Cohen, I am a sophomore at Barnard, and I would love to be your VP of Chessed! We have come to associate the word chesed with opportunities to volunteer our time, donate money, or help those in need. While those, without a doubt, are incredible and essential components of chesed, I truly believe that chesed encapsulates much more than annual events and allotted time to volunteer. The word chesed can literally be translated as “kindness”. It think chessed should be a state of mind and an easily accessible component of the things we do. My goal as VP Chesed would be to make chesed a natural and integral part of our incredible Yavneh community. How do I envision doing that? Well, I’m glad you asked. Social/Fun Events. I want to bring back events like Manicure for a Cure, which raises Breast Cancer awareness and donates proceeds to Sharsheret. I want to restart Casino Night, and work with NYU’s Shalhevet, to run a joint, fun event to raise money for Save a Child’s Heart. I would love to organize intramurals in any sport (or non-sport) to raise money and awareness for any organization, hospital, or initiative. Chesed events should be fun and social! Education. In order to make chesed a natural part of our life, we need to make it something we relate to beyond events; we need to be educated. I would work to have an educational component to our programs to ensure that there is a more pertinent effect than just the immediate fun of Yavneh events. Action. Chesed is about giving of your time. I would love to have a program with Project Dorot, organization that enhances the lives of the elderly, each semester, which could be a holiday party or a fun Bingo event. I would also like to coordinate with local kosher food stores in the neighborhood to collect their food at the end of each week to donate to a homeless shelter. Shabbatonim. Shabbat can be a very long 25 hours. Sometimes those 25 hours can pass in an instance with some food, sleep, and friends; other times those 25 hours just feel a little boring. To make chesed opportunities more available to our community, I would love to take advantage of those 25 hours to organize Shabbatons. A Shabbaton could be as general as a particular theme that is associated with chesed to a set of programs spread throughout Shabbat. For example, one Shabbaton I would love to organize is about disabilities. It would involve interactive sensitivity workshops, invite speakers to shed light on different issues that face individuals with disabilities within the Jewish community, and a panel of parents/siblings of individuals with disabilities. It would take advantage of programming that currently exists within the community (such as Shiur by Your Peers, Faculty Friday, etc.) but has a connecting theme and provides a way for us to make chesed a natural part of our mindset and community. Tzedaka Initiative! How often do you carry around unwanted change? To help keep your wallets light and to collect some good ol’ tzedaka, I would like to bring the Penny Harvest to Yavneh. We could have designated tzedaka boxes throughout the Hillel building and slowly but surely build up a significant amount of money. Use NYC! There are so many things going on in NYC and I would like to create a calendar/forum of various events going on throughout the city that are available for people to get a sense of different chesed opportunities there are throughout the city. If it is a walk or a particular cause that someone in the community feels strongly about, I would love to work with that person to create a team or support group within Yavneh for that person. Community Participation. Although I am running for the position of VP Chesed, I know I am not the only one in the community who feels strongly about chesed. I want to work closely with people who are passionate about chesed or feel particularly connected to a certain organization or cause to make sure their vision is manifested within the Yavneh community. I want to make chesed an integral part of the community, which means lots of people need to be involved in the programming! I consider myself privileged to be apart of such a wonderful community and would love to be able to contribute to Yavneh as VP Chesed. For anyone who knows me well, there are two common aspects of my personality at which people love to jokingly poke fun. The first is my slightly nerdy hippie-ish love for the environment, and the second is my passion for various community outreach projects. Social justice is second nature to me. Ever since I was a young child I’ve been involved in various projects. For many years, my sister and I ran a candy drive in our elementary school, bagged and decorated the candy, and delivered it to a local men’s shelter. Frequently accompanying my mother on her regular visits to long-term care facilities where she led services, my sister and I would help the residents follow along and would also visit with them in their rooms. In addition, we started a local program to collect the leftover goods from a local Panera Bread company. Weekly, we’d pick up the food and deliver it to mentally challenged people with HIV/AIDS. Here in NYC I’ve gone on the Midnight Run, volunteered weekly at a Jewish soup kitchen this past summer, and helped coordinate Challah for Hunger. I initiated and continue to coordinate a program to collect all of the leftovers from Shabbat meals in Hewitt and Café Nana and arrange for them to be donated to the homeless through a local church and the HUC soup kitchen. Thus far 79 large trays have been donated to HUC and about 100 have been donated to Angela’s (the custodian at Hillel) church, thus providing around 1,800 meals to the homeless. I’m privileged to have had the chance to work on something so amazing with the help and complete support of the Shabbat Meals Committee, and now I want the chance to have a bigger impact. I believe we need to help those people in our community who are hungry. Here are some of the ideas I have of how to improve chesed in Yavneh. In terms of new programs, I’d like to work to expand the food donations program from Hewitt Shabbat Meals to restaurants in the local community. It’s important to utilize the resources in our community. Rather than throwing out food and filling up landfills, we could collect the food and donate it to the homeless of NYC! Concerning the leftovers we get from local restaurants, I’d like to try to start a local outreach program. The food would be repackaged and student volunteers could bring it with them as they go about Morningside Heights or the city, giving it to homeless people they see. Some of the best advice I’ve gotten has been from people on the street, who love to see someone taking the time just to greet them! I’d also like to try to start a weekly or bi-weekly group of Yavneh volunteers who would work a shift in a nearby soup kitchen. In terms of established opportunities, I’d like to keep running the Midnight Run and make it monthly instead of semi-annual. I’d like to reach out to the various groups in Hillel to form Yavneh-Koach-Kesher chesed initiatives. We are one community, and it is important that we join together on important community work. I think the most important thing to remember when it comes to chesed is just how big of an impact one person can make. I’ve been privileged to be taught by a wonderful teacher and to see firsthand the impact that one person can have. More than anything I want to bring this idea to Yavneh, so that everyone can see what incredible potential they have. After all, every action will not only affect us and our community but can change the world. Hi Yavneh! For those of you who do not know me, I am Franni Bernstein and I am running for VP Shabbos/Chag. I am from Stamford, CT (whoo hoo! ), a political science major and religion minor, and have an adorable dog named Peppy. Shabbos and Chagim are one of the few times that we have a great opportunity to really come together as a community. Through meals, davening, and programming, holidays and Shabbos are a chance for our community to stop hibernating in butler and the soulless third floor Diana and enrich our Jewish experience on campus. For this reason, I hope to help make Yavneh provide an even more exciting and refreshing Shabbos and chag. To start, I would love to begin sending out weekly polls and allow you to all vote on Shabbos related decisions like Friday night speakers, shiur topics, kiddush foods, davening tunes etc… In these small ways we can increase participation and shake things up within our routine. I also think Shabbos programming in a large scale way would be great. Why not have themed Shabboses in which everyone participates in one large meal with themed food, and themed programming throughout the night? In this way we can liven up an average Shabbos. Or how about a Yavneh talent show on these long Friday night? My personal favorite would be to revisit our wonderful kindergarten days with Shabbos parties. I’m talking full out Shabbos Ima and Abba, and sandwich cookies. These are just a few of the multitude of ways I hope to energize our Shabbos here on campus. And for those who do not know me, I have A LOT of energy. I would also really love to increase the holiday programming. We should have activities like menorah decorating for Chanukah, humentaschen baking on Purim, and tree planting for Tu Bshvat. All of these holidays should be celebrated in fun and meaningful ways. These holiday programs can also be integrated with the social committee, the chessed committee and the education committee to create bigger, better, and more impactful programming. For Yom Kippur and other fasts, I would love to see both post and pre fast at Yavneh. We should bring back the succah hop on Succot, and ensure that students who stay in for Rosh Hashana, Yom Kippur, Succot and Pesach have meals and minyanim. Lastly, I really want to implement both town hall meetings and a full on Shabbos/chag committee. Town hall meetings would be great forum to discuss new issues regarding the holidays, increased participation in communal meals, and other issues that come up regarding Shabbos and chag. These could even take place after Kiddush on Shabbos morning. I also think it is really important to create a Shabbos/chag committee in which I encourage everyone to participate in. This is our community, and Shabbos and holidays are our times to come together as community. I would love everybody to feel ownership over that, and to take part in the experience we can create. We can bring in speakers, have chullent competitions, or lower the mechitzah (jokes). But I do hope that if you choose me as your Shabbos/chag VP, you also take part in the opportunity to help create the Shabbos and holiday experience that you would like to have on campus. Hi guys!! My name is Zoe Heisler and I’m running for Yavneh’s VP of education. This past semester I co-ran WNLP (Wednesday Night Learning Program). From this experience I learned a lot about what it takes to be a group leader, take initiative, be responsible and follow through on programming. I think I can take the skills I’ve learned from this experience and implement them to enhance our Yavneh community. Being on Yavneh board is an amazing opportunity to be part of the group that forms our community. Yavneh is mostly student run, and that really puts a lot of power and responsibility in the hands of the Board. I think I have the passion, creativity and initiative to continue the success of the Board. I think that some great things have been done in terms of Yavneh education this past year and I would like to continue them. As VP of Education I would do my best to publicize them more and draw in a larger part of the community. As your VP of Education I would try my best to make sure that all shiurs and educational events are made known to the whole community. One program I’m very excited to continue is the Yavneh Hagada, it really showcased the abilities and scholarship of our community. I think it’s essential to have a portion of the education to be student run. So in addition to bringing in speakers and scholars in residence, I would like to hear from the members of the community. Whether it’s a meal discussing different topics of interest or an inter-group activity, I want to hear what interests the community. I would like to engage in subjects that relate to different groups within Yavneh and the greater Hillel community. There are a lot of amazing groups within Yavneh and Hillel that could join for great shiurim or programming. The new structure of the Yavneh Board will really enable a diverse array of programs for all groups. Having a committee for Education will give me a better idea of what you want to learn. I would love to get this community excited about education. We have so many brilliant and creative peers, professors and religious leaders to draw upon. There is immense potential for the education of our community and I’m hoping I can facilitate its expression. I would really like to be your VP of Education because I am passionate about the education of our community. I love learning of all sorts and would appreciate being the one to help provide easily accessible and meaningful learning.